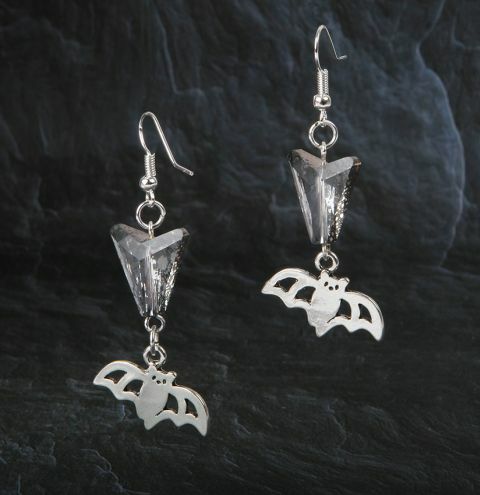 Learn how to make a cute pair of bat earrings for Halloween with Swarovski! Take an eyepin, thread it onto an arrow bead and make a loop. Attach the bottom loop to the bat charm. Open another jumpring and connect the top loop to an earwire. Repeat to make your second earring.